Ford expands its Super Duty line and updates other vans and trucks. The F-600 is the latest model in the Super Duty line. There is a fresh name coming to the Ford Super Duty family, the first new F-Series model we’re seeing in 20 years. The Ford Super Duty F-600 broke cover this week, expanding the automaker’s venerable line of full-size pickup trucks with it. 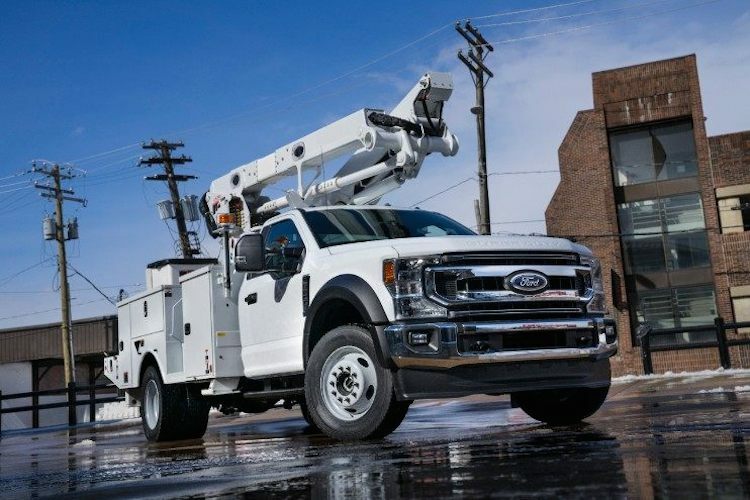 The 2020 Ford Super Duty F-600 chassis cab is a medium-duty commercial truck with a maximum gross vehicle weight rating (GVWR) of 22,000 pounds. Ford describes the vehicle as a Class 5 Super Duty package with Class 6 commercial truck capabilities. The new model will be available in mid-2020. Ford’s premise with the F-600 is to offer a commercial truck that closes the gap between payload and truck size. The new model is the same size as the current medium-duty F-550, but smaller than the F-650. It gains an upgraded driveline and chassis components along with higher-weight-rated tires and wheels to meet the elevated GVWR. All F-600 models come with a choice of three engines, including Ford’s all-new 7.3-liter gas V8, a 6.2-liter gas V8, or a 6.7-liter turbo-diesel V8. Each engine works with a 10-speed automatic transmission. Buyers will find both two- and four-wheel drive models. 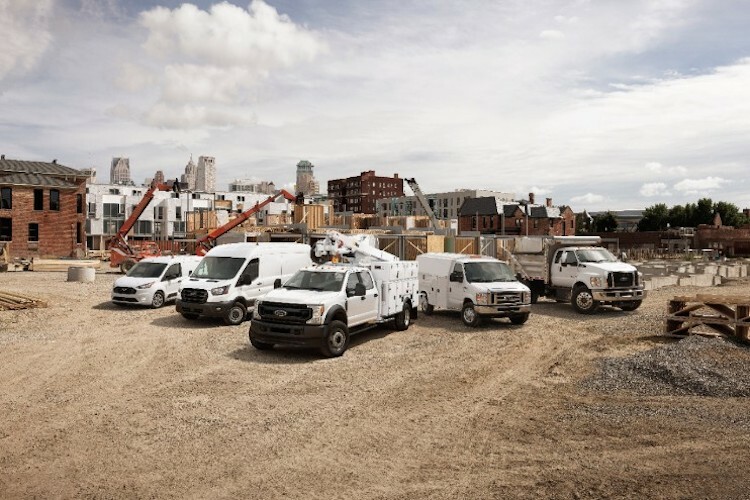 Ford’s current lineup of commercial trucks begins with the Transit Connect. The Super Duty F-600 isn’t the only news from Ford covering its passenger and commercial vehicles. The Ford E-Series continues, a model which traces its history to the early 1960s. The big van is still available, but only in cutaway and stripped chassis models as the Transit has replaced it in other applications. For 2021, the E-Series receives an updated interior, including a refreshed instrument panel, Bluetooth compatibility, and USB ports. Ford will also make available a pair of engine calibrations for its new 7.3-liter V8 engine, enabling customers to select the best horsepower and torque application for their needs. As for the Transit, it receives an important refresh for 2020. Two new engines join the product line, including a 2.0-liter bi-turbo diesel with available all-wheel drive. The other choice is a new 3.5-liter V6 engine with port fuel and direct injection. Both engines work with a 10-speed automatic transmission. Other Transit changes include now standard pre-collision assist with automatic emergency braking and pedestrian detection, forward collision warning, post-collision braking, lane-keeping assist, and automatic high beams. A blind-spot information system with trailer coverage and cross-traffic alert, adaptive cruise control, a front and rear split-view camera and adjustable speed limiting device are among the available features. 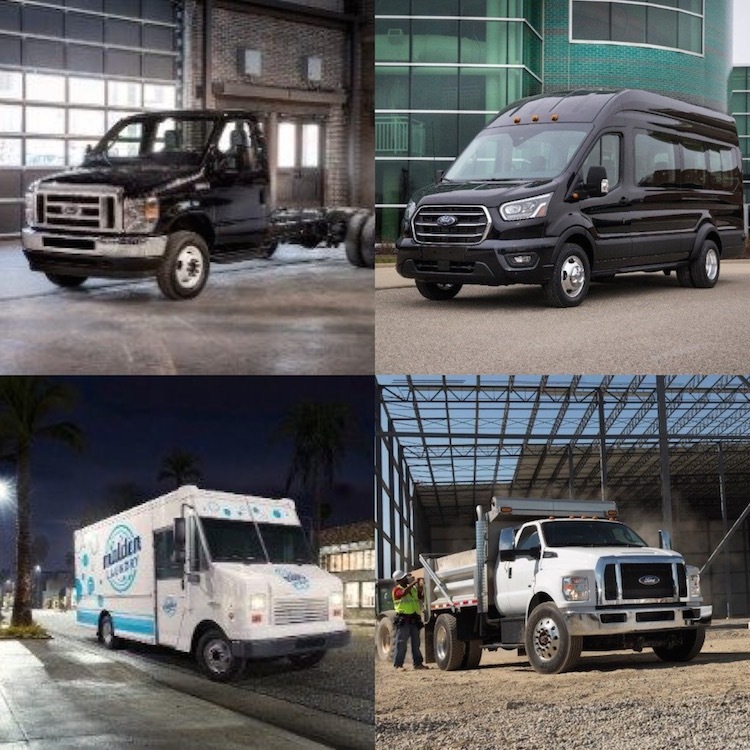 Clockwise from top left: E-Series, Transit, F-650, Ford Chassis. Other changes coming include an update to Ford’s stripped chassis. The F-53 chassis underpins motor homes and other types of vehicles and will soon feature improved steering, an unto the center of gravity capability on higher GVWR models and improved driving experience. The F-53 and F-59 (commonly used for walk-in vans) will also get a new steering column, instrument cluster, and electrical architecture. Ford’s additional Super Duty model and update to three other vehicles strengthen its market position. Both GM and Fiat Chrysler also have new medium-duty trucks coming online, therefore the Blue Oval is getting it done to stay out front. Photos copyright the Ford Motor Company. 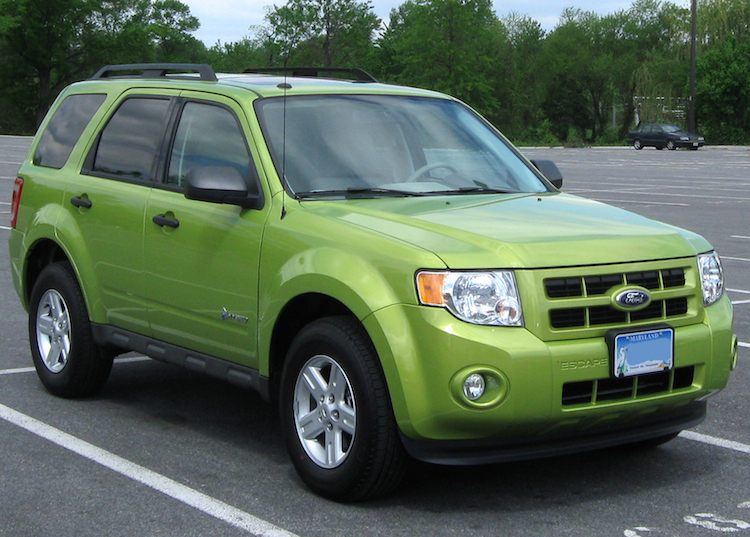 The Ford Escape has been one of the best-selling small crossover utility vehicles since its 2001 debut. 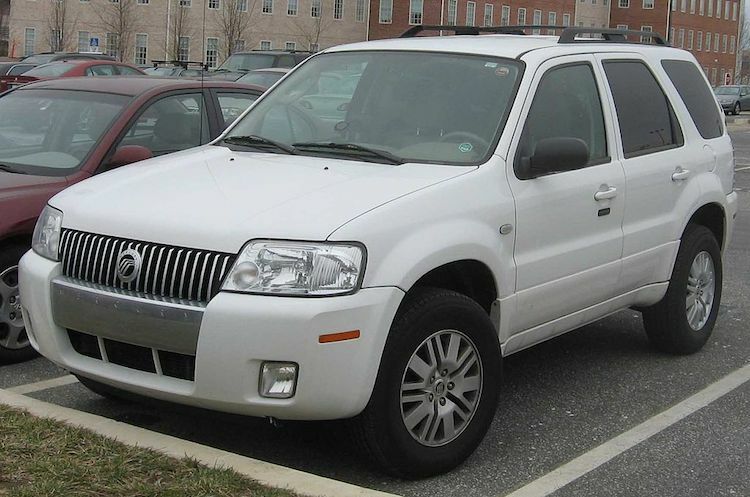 The earliest models shared the same architecture with the Mazda Tribute. There was also a Mercury Milan variant until Ford canceled the brand in 2011. Ford rolled out the third and current-generation Escape in 2013, so it is time for a new model to hit the market. Our sources say it will happen sometime this year, with the 2020 Escape arriving as soon as this summer. The Escape is no longer related to the Mazda Tribute, as the latter was replaced by the CX-5. But there is a Lincoln MKC variant, a high-end take on the small Ford SUV. For 2020, that premium model will also sport a new Lincoln Corsair name as the marque continues to move away from its previous alphanumeric nomenclature. Several sources (including Car & Driver) are reporting on the powertrain offerings for the new Escape and they’re interesting, to say the least. The information was culled from paperwork Ford submitted to the National Highway Traffic Safety Administration (NHTSA). 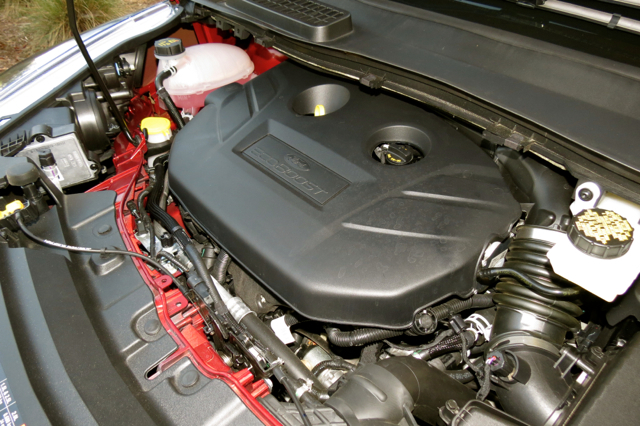 Powering the base Escape model is a turbocharged 1.3-liter three-cylinder engine. This will be the first three-banger in the segment, but it isn’t the first Ford model powered by three cylinders. Previously, both the Fiesta and Focus offered one. The new engine will replace the current 1.5-liter turbo four-cylinder engine, which will still be available. At the top of the engine lineup is a 2.0-liter turbo four-cylinder engine with 237 horsepower (down from the current 245 horsepower). Likely, all three engines will work with a 10-speed automatic transmission. Besides the three gasoline engine choices, Ford will offer two hybrid variants — standard and plug-in versions, which will work with Ford’s 2.5-liter four-cylinder engine. This is also the second go-around for an Escape Hybrid. From 2004 to 2012, Ford offered the hybrid, selling approximately 118,000 units over nine model years. Further, Ford was the first manufacturer to provide a compact hybrid SUV, as a Toyota RAV4 Hybrid didn’t arrive until 2016. An EcoBoost (turbo) engine is always a given with any Ford product. As for the Lincoln Corsair, its base engine is the 2.0-liter four-cylinder, which is the same as the Escape’s top motor. The Corsair will also offer a turbocharged 2.3-liter four-cylinder engine, generating 275 horsepower. That’s the same engine available in the MKC, although horsepower is down by 10 here. A Corsair hybrid seems likely too, but it may only include the plug-in version and that with all-wheel drive. Moreover, while the Escape’s arrival will come first, the Corsair may arrive sometime in 2020 as a 2021 model. Still, that’s ahead of schedule for Lincoln’s smallest utility vehicle. Ford’s lineup will soon be comprised entirely of utility vehicles, trucks, and vans, with the Mustang the lone car exception. A new Explorer is here and the next-generation Edge is in the works. We’ll see the Bronco SUV sometime in 2020. A replacement for the EcoSport may soon follow. As for Lincoln, Ford’s luxury brand may continue with its two-sedan lineup, although the MKZ name will likely disappear. Sales of the large Continental are slow, but a refresh seems likely. As for utility vehicles, Lincoln’s lineup will soon range from the Corsair to the Navigator, with the Nautilus and Aviator occupying the middle spots. And as for the wagon-like MKT, it will soldier on at least for a few more years, but in livery availability only. Bet on it: the all-new Corsair will feature Lincoln’s current grille design scheme.